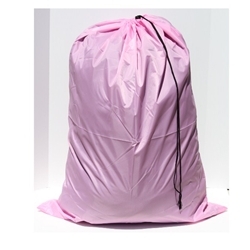 This is our new 30"W x 40"L pink heavy weight polyester laundry bag. It has a draw cord top slip lock closure. This bag is great for the dorm room, commercial laundry facility, and many other uses.